Considered by many to be the best game of all time, the SNES Test Program finally finds its place on the TASVideos website in all of its glory. Witness as the console performs feats of wonder without proper compensation purely for your entertainment. Abuses programming errors to pass test. Executes ACE in the background to pass valid information to the CPU. Requires real-time modification of the SNES's SPC700 chip to complete, else the test crashes on hardware. 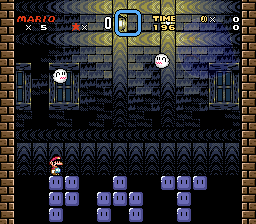 To do so, I used the arbitrary code from the character test to build an intelligent robot within the SNES's mainframe which then disassembled and reassembled the chip with modified components during the controller test. This modified chip then allowed for completion of this test without issue. 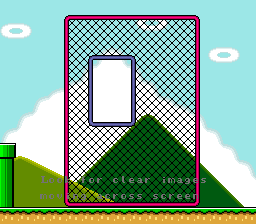 It is possible to get stuck in an infinite loop on this test if you continue to press start after the first cycle; I escape this loop by not pressing start after the first cycle. The Mouse test and Super Scope test and mutually exclusive due to emulator incompatibilities (i.e. bizhawk doesn't support them, lsnes is dumb, snes9x only supports one per movie), so I chose the one that results in more passes and thus a higher completion percentage. 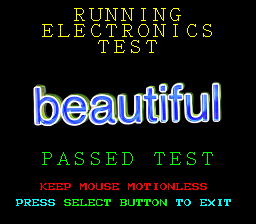 The mouse's Electronics Test was completed in a similar fashion to the console's, though the programming errors had to occur within the mouse itself instead. Thus, I atomized the robot from earlier to send it through the controller cables to the mouse's CPU components, where it punched the wires until the test incorrectly considered to have passed. The Button Test is still impossible RTA. Lastly, for the Cursor Test, I passed data along to the system translating to smooth movement, resulting in internal recognition that the test had been passed. After completing these, I end the movie in the Super Scope Test. As mentioned, the two accessories are mutually exclusive and can not be tested in the same movie, so this TAS simply enters it without doing anything else. Code an emulator that isn't terrible at handling accessories. 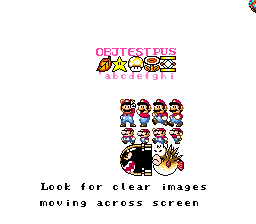 Alternatively fix lsnes' so that the accessories are actually useable. 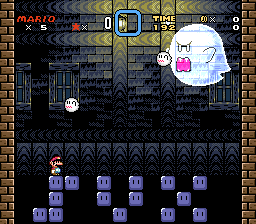 Mothrayas: Yeah that's definitely a pretty SMW glitchfest alright. 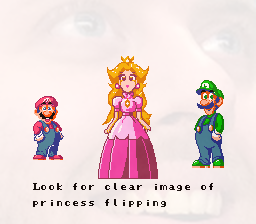 Look at Mario going all over the place! Claiming. 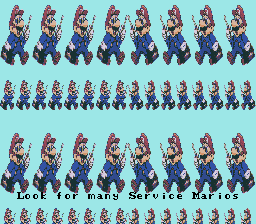 Mothrayas: With all the looking for clear images, flipping princesses, stars, and Many Service Marios in this run, I must conclude that this is basically Mario's equivalent to Where's Waldo. Rejecting.